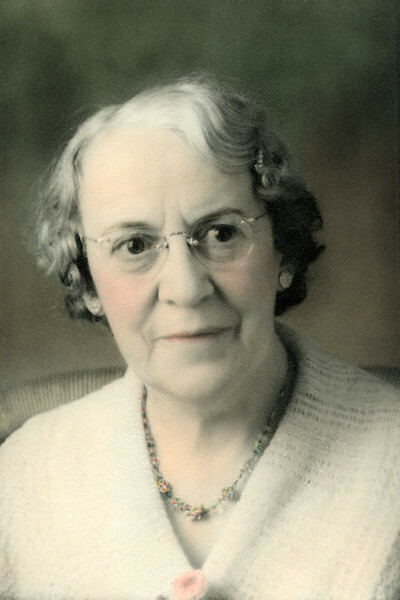 Minnie E. Raver 1881-1977. Minnie was one of my great grandmothers. She was married to Bert Raver and her maiden name was Davis. Minnie was the mother of Hazel. Until I inherited some of Minnie's pictures I didn't even know her first name. I remember her as an old woman. This partially hand tinted studio portrait was not dated but I would place it at least ten years before my birth.